If you're scouting for a casual yet dapper look, make a light blue overcoat and black skinny jeans your outfit choice. Both garments are totally comfortable and will look great paired together. Channel your inner Ryan Gosling and make brown leather chelsea boots your footwear choice to class up your look. If you're facing a sartorial situation where comfort is prized, try pairing a black blazer with Sixth June skinny fit jeans in black with distressing to asos from Asos. To add elegance to your ensemble, complete with black leather chelsea boots. We all ensemble for comfort when it comes to dressing up, and this combination of a black quilted leather biker jacket and Sixth June skinny fit jeans in black with distressing to asos is a practical example of that. Channel your inner Ryan Gosling and grab a pair of beige suede chelsea boots to class up your getup. 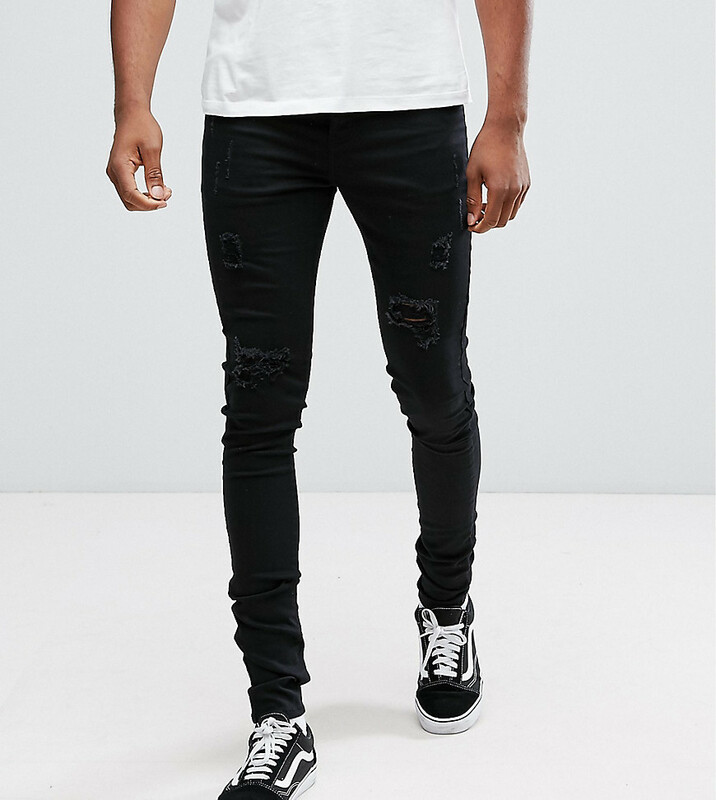 If you're all about being comfortable when it comes to dressing up, this combination of a black embellished leather biker jacket and Sixth June skinny fit jeans in black with distressing to asos is what you need. 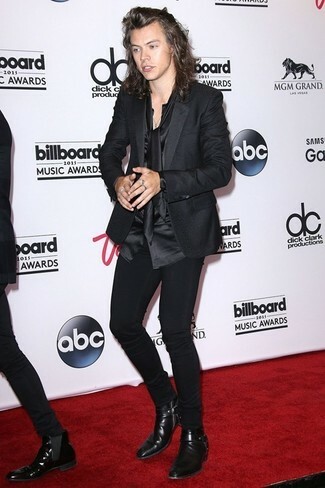 Why not introduce black leather chelsea boots to the equation for an added touch of style? If you're after a casual yet stylish getup, consider wearing a navy overcoat and Sixth June skinny fit jeans in black with distressing to asos. Both items are totally comfortable and will look great together. Channel your inner Ryan Gosling and grab a pair of black leather chelsea boots to class up your getup. 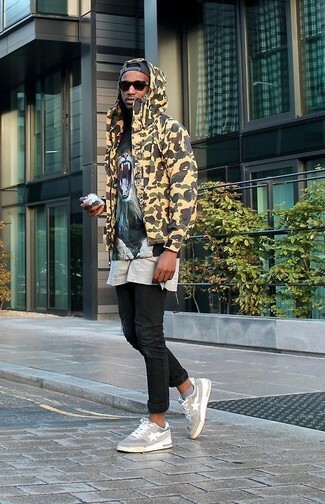 We're all looking for comfort when it comes to dressing up, and this combination of a yellow camouflage parka and Sixth June skinny fit jeans in black with distressing to asos from Asos is a practical example of that. For shoes, throw in a pair of grey athletic shoes. 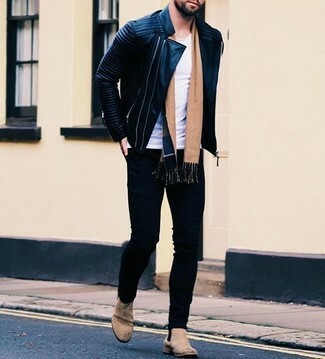 If you're on a mission for a casual yet sharp look, dress in a tan shearling jacket and Sixth June skinny fit jeans in black with distressing to asos from Asos. Both items are totally comfortable and will look great paired together. When it comes to footwear, this look pairs wonderfully with beige low top sneakers. If you're searching for a casual yet sharp getup, wear a grey wool blazer and black skinny jeans. Both pieces are totally comfortable and will look great together. If you don't want to go all out formal, make black and white athletic shoes your footwear choice. 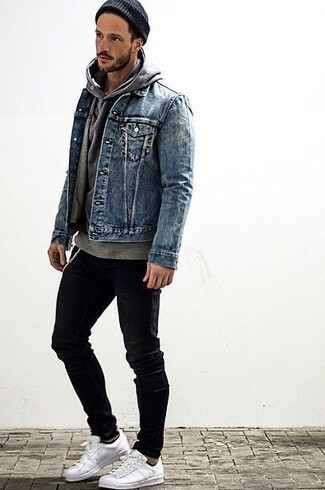 If you're on the hunt for a casual yet sharp getup, marry a blue denim jacket with Sixth June skinny fit jeans in black with distressing to asos. Both items are totally comfortable and will look great paired together. 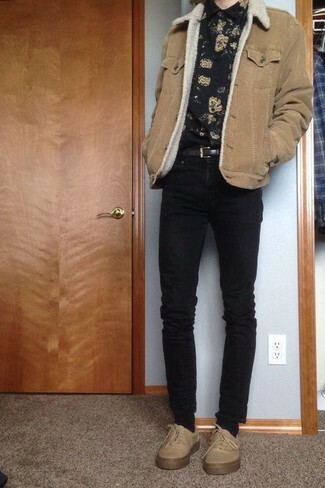 When it comes to shoes, this look pairs nicely with white low top sneakers.